This is the ultimate luxury adventure for multi-generational families or groups! Explore Cape Town and surrounds, followed by a well-rounded luxury safari in Londolozi (Kruger National Park) and Tswalu Kalahari. Featuring private touring and boutique 5-star accommodation throughout. This Cape Town Explorer and Family Safari Adventure was designed for a family of 5 (retired parents with their 3 adult children) from Florida. This was their first trip to Africa and they wanted to maximize their time, while catering to the wide range of tastes in their group. We designed this family package to satisfy everyone’s wishes: city life, outdoor adventure, excellent food and wine, a Big 5 safari, and a more off-the-beaten-path safari experience. It truly was the trip of a lifetime! Their adventure began with 4 action-packed days in Cape Town. We connected them with wonderful private guides who showed them the very best of Cape Town and its scenic surrounds—from Table Mountain and historic Robben Island, to wine tasting and behind-the-scenes winery experiences, to outdoor adventures in the Cape Peninsula (including seeing adorable penguins away from the crowds on Boulders Beach)! 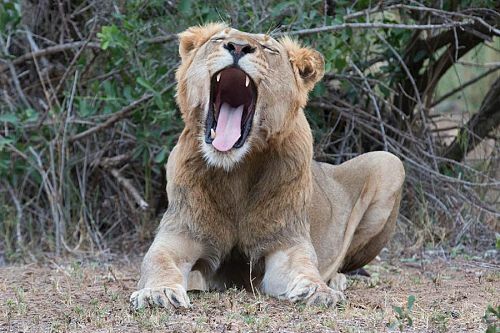 Next on their Cape Town Explorer and Family Safari Adventure, it was time for a Big 5 safari in Kruger National Park! They stayed at Londolozi Private Granite Suites, located in the exclusive Sabi Sand region of Kruger. They spent 3 wonderful days on safari and saw plenty of elephants, leopards, lions, and much more. In between game drives, they relaxed at their luxurious safari lodge, where they were free to cool off in the pool, indulge in gourmet food and drink in the beautiful main lodge, or look out over the river from the comfort of their private deck and plunge pool. 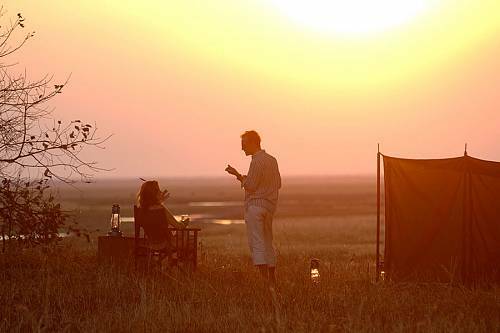 Their Kruger safari at Londolozi allowed them to tick the Big 5 of Africa off their list. 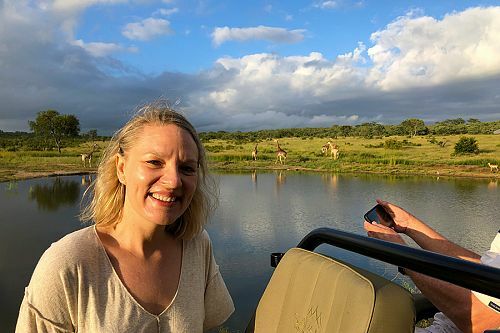 For the next stage of their Cape Town Explorer and Family Safari Adventure, they flew to the Tswalu Kalahari Game Reserve to see South Africa’s rare and elusive wildlife. They loved the accommodations at Tswalu Motse, which offered a luxurious blend of nature and modern comfort. 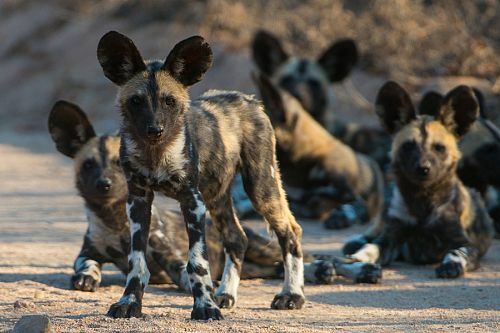 Here, they were able to observe the habituated meerkat colony and search for rare animals like black-maned Kalahari lions, desert-adapted black rhinos, and elusive pangolins. The Cape Town Explorer and Family Safari Adventure was their favorite family vacation yet! They loved the contrast in safari experiences and the cosmopolitan offerings in Cape Town. They returned home with countless photos to share with family and friends, as well as memories to last a lifetime. Welcome to beautiful Cape Town! Enjoy a VIP meet and greet at the airport, where you will be met at the door of your aircraft and escorted through customs and immigration. A private transfer brings you to your stunning hotel. Dramatically poised on the slopes of Table Mountain, Ellerman House features breathtaking ocean views. Timeless elegance, exquisite taste, and artistic flair abound in this luxury 5-star hotel, an appealing getaway for discerning travelers. The hotel features a renowned contemporary art gallery and wine cellars, while the spa, gym, pool, and gardens allow guests to relax and be pampered in style. Today, embark on a private tour of Cape Town’s highlights with a qualified guide. Begin by taking the cableway up the famed Table Mountain; at the top, soak up panoramic views over Cape Town, the ocean, and Robben Island in the distance. In the city itself, explore cultural highlights including the Company Gardens, South African Museum, and the Castle of Good Hope. Last but certainly not least, enjoy an excursion to the historic Robben Island, where Nelson Mandela was famously imprisoned for 18 years. A private transfer brings you back from your adventures to your hotel, where you can enjoy a fabulous gourmet meal paired with South African wines. Enjoy a private tour of Stellenbosch, Franschhoek, and the beautiful wineries of the Cape Winelands today. You’ll explore some of the most picturesque places in South Africa, visiting fascinating towns and taking a look into off-the-beaten-track farms which revel in their old-world roots and influences. Today is about so much more than just sipping the wines. Depending on time and season, you’ll stroll through the vines, learning about farming methods and techniques. Take an intimate wine tasting and cellar tour, and possibly meet the driving force behind the estate. If you’re lucky, your private behind-the-scenes experience could include grape picking or barrel tastings. A delicious gourmet lunch with wine pairings is included in your tour. Today, your South African safari adventure begins! Catch a flight to the world-famous Kruger National Park and the exclusive Sabi Sand private game concession. Enjoy the utmost privacy and luxury at Londolozi Private Granite Suites, your home for the next 3 nights. With just 3 luxurious suites (each with its own private deck and heated plunge pool featuring river views), this boutique safari lodge is the ultimate hideaway. 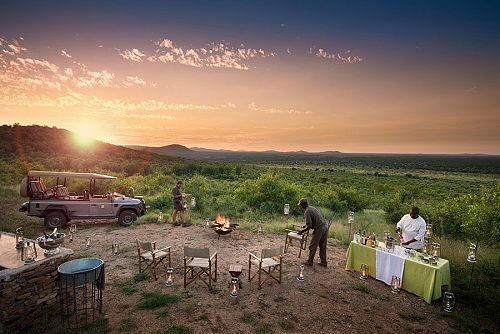 After settling into your fabulous suite, embark on your first safari game drive this evening, followed by a scrumptious dinner served indoors, on the expansive deck, or in the outdoor boma under the stars. 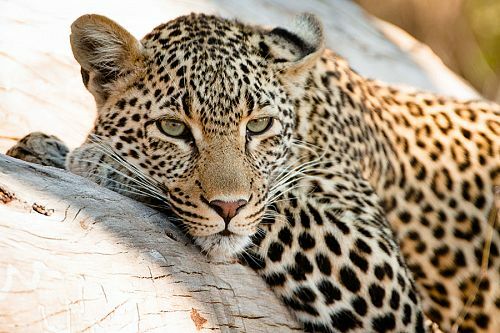 Spend the next 2 days on safari in the exclusive and highly sought-after Sabi Sands region of Kruger National Park. 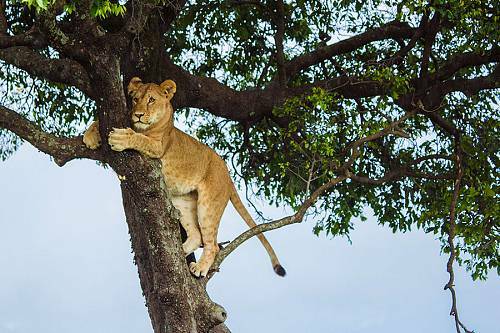 This area is known around the world for its abundant wildlife (particularly the elusive leopard), and you will most likely see all of the Big 5 on your first few game drives! In between game drives, while away the heat of the afternoon back at the lodge. Perhaps try a yoga class at Founder’s Camp or cool off in the pool with its stunning panoramas over the river. Your South African safari adventure continues today in a very different landscape which provides a well-rounded wildlife experience. Fly west to the private Tswalu Kalahari Reserve, which features just 2 boutique safari lodges on 110,000 hectares of wilderness. Your home for the next 3 nights is Tswalu Motse, a stunning lodge that lies at the foot of the Korannaberg mountain range, facing westward across the grasslands of the Kalahari. Now that you’ve ticked off the Big 5 in Kruger, it’s time to explore another side of safari and focus on the rare and elusive wildlife of South Africa. 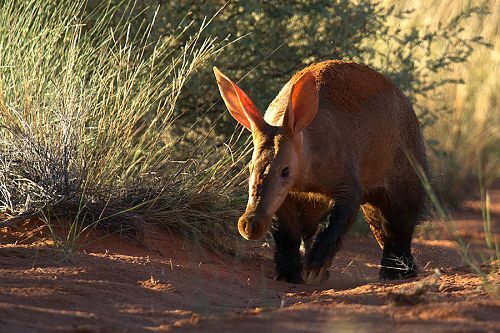 Tswalu Kalahari is known as a premier destination for wildlife like pangolins, aardvarks, desert-adapted black rhino, and black-maned Kalahari lions that even seasoned safari guides rarely get to see! Tswalu also uniquely features a colony of habituated meerkats; we highly recommend rising early one morning to watch them emerge from their tunnels and bask in the morning sunshine. 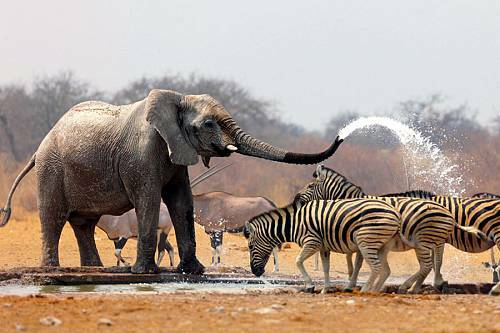 In addition to game drives, Tswalu offers walking safaris and horseback safaris. Your incredible adventure in South Africa comes to an end today. Enjoy a final game drive and scrumptious breakfast this morning, then fly to Johannesburg to begin your onward journey back home.